The FLOW CBD Deep Tissue and Joint Gel is a powerful topical formula designed to penetrate the skin extremely fast. Research indicates that our formula may deliver cannabidiol into an affected area within 5 minutes, as opposed to 40 min as seen with conventional oil or water-based topicals. 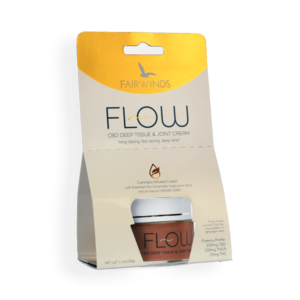 An effective blend of botanical extracts and cannabis in a fast penetrating gel base make FLOW hands-down the best cannabis topical on store shelves. Cosmetic Gel Base, Essential Oil and Terpene Blend (Bergamot, Citrus, Chamomile, Linalool, Eucalyptol, Borneol, Caryophyllene, Myrcene), Cannabis Oil, White Willow Bark, Comfrey Extract. – FLOW Gel is designed for external use only. – FLOW Gel should be rubbed into the skin gently. 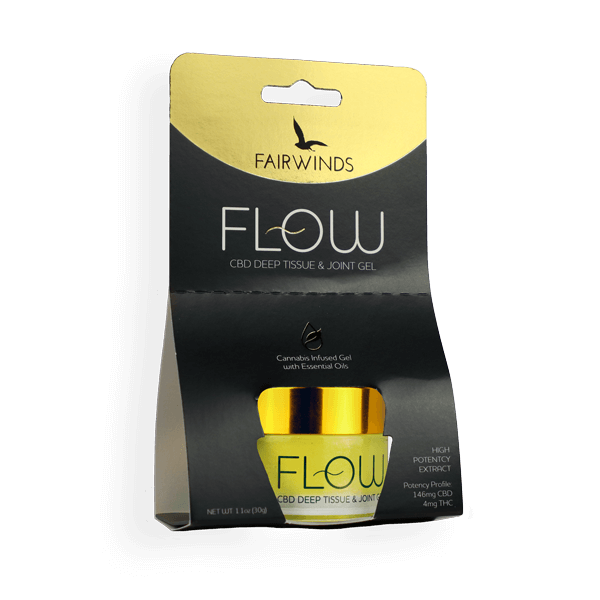 The ingredients in FLOW Gel allow the product to absorb quickly within 1-3 minutes. – FLOW Gel will begin to take effect within the first 2-5 minutes after application. After the first application, FLOW Gel can be reapplied as necessary without the risk of overuse.